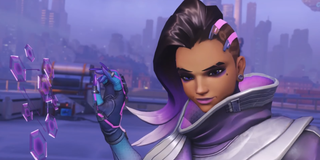 Overwatch players in low-density regions are allegedly gaming the competitive matchmaking system for unreal rankings and win rates. On Reddit and Battle.net forums, Brazilian Overwatch players in particular are concerned about a few Masters-ranked teams whose performance ratings are through the roof. Many are among the region’s top 500 players, lingering in the top 2% of kill/death ratios or the top 90% of damage output. It looks remarkable, and while they’re probably great at Overwatch, the more likely reason behind their startling success is exploiting the competitive matchmaking system. Brazilians players allege that six-stacks queue up for competitive matches in the very early morning. Then, fewer competitive players are online, so they’d be matched against lower-ranked players. It’s no contest. Their competitors are crushed, thereby increasing their rating. Also, six-person teams who play together regularly tend to perform better than patched-together groups of two or three. By queueing up as a full team, they have a strong advantage. In one particularly egregious example, a Brazilian six-stack with a 4439 CR was matched against a rag-tag team with a 2709 CR. Guess who won. Blizzard did not respond to our request for comment. Players have reported this happening around Melbourne, Australia as well. Overwatch players are furious that people are reaching the top 500 without playing against others at their skill level. They’re saying it’s scummy and unfair, especially when top rankings are so few and coveted.